Zuri is a premium brand of PVC-based decking from Royal Building Products. 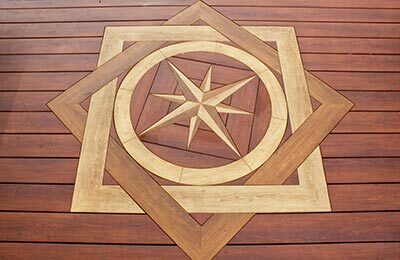 It is a unique product within the premium decking industry due to a number of differentiating factors. This includes the manner in which each board is constructed, the amount of rigorous testing and research and development that goes into the product itself, and the maintenance and upkeep requirements versus natural wood or composite decking. Zuri decking boards are constructed with three distinct parts. Each board starts with a white PVC substrate core that is wrapped with a photorealistic print, which is finished with a durable acrylic capstock. In addition to being durable, this substrate offers some distinct advantages due to its color. The white substrate retains heat less readily, so after your decking is no longer in the direct sunlight, it’s going to cool faster than composite decking constructed with a black core substrate. The white also allows you to better see the grain details in the photorealistic print, which helps the visual illusion that the decking is actually natural wood. This layer contains the visual component of each board. The print can replicate the look of different natural exotic woods, depending on your preference. Unlike other decking that will simply duplicate a certain grain pattern over and over, Zuri strives to vary those grain designs. By individualizing each board in this way, Zuri again is more able to accurately reflect the look of natural wood. The finishing layer on each Zuri board is an acrylic capstock. Even though it’s a thin layer, it’s designed to be extremely durable and resistant to scratching, denting, cracking, or breaking. This acrylic has to undergo rigorous testing, along with the other components of the board as well as the finished end product. Even in real-world situations where large branches have fallen on the decks during windstorms, the capstock has maintained its physical integrity. Zuri ensures that all products are put through rigorous testing cycles to ensure their durability and aesthetic maintenance, even after extreme conditions. This testing entails wear resistance, stain resistance, and UV resistance. After a thorough research and development stage, Zuri products are able to outlast natural wood and other composites in all three categories. This means that even intense, direct, prolonged sunlight will affect Zuri less than its competition. Spills will leave fewer, less noticeable residual stains, and Zuri boards are also less susceptible to scratches, gouges, or abrasions from wear and tear. This keeps your Zuri deck in Maryland and Zuri patios in Virginia looking great. No matter what changes, improvements, or advances Zuri low-maintenance materials make in their product line, Zuri Decking always has the goal of approximating the beauty of natural wood. However, Zuri offers the added benefit of minimal upkeep. Unlike natural wood that requires yearly maintenance to keep looking its best, Zuri will remain unchanged even after prolonged exposure to stressors such as sun exposure, abrasions, and stains. 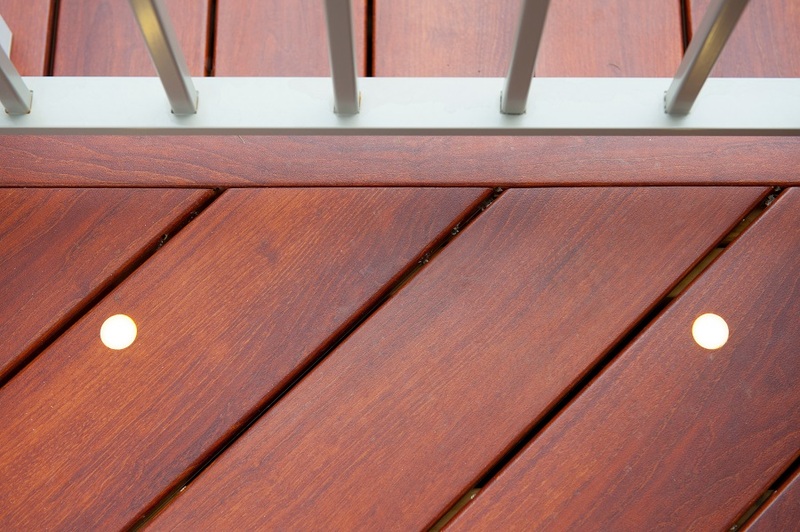 No costly, time-consuming staining is required, and the resistance to spills also means you don’t have to use a lot of specialized cleaners (or elbow grease) to clean the deck. In the vast majority of cases, water and a mild detergent applied with a cloth are enough to clean Zuri Decking boards to a like-new condition. This eliminates the need for refinishing, which can also be a costly fix. Zuri decking has established itself as one of the leading names in premium decking and put itself at the forefront of advancements in that industry due to their rigorous quality assurance testing. For more information about this brand or how it might fit with your current or planned outdoor living space, please contact a representative of Design Builders, Inc.